Interesting Times in North Korea – those who care, shudder. What next? Following the execution of Jang Song-thaek, the unknown remains. Is the young Kim (Leader, Kim Jong-un) bent on further centralising power and continuing on the much-derided (internationally) path of his antecedents or, is this a violent end to the old regime’s powers and isolationist stance where they enjoyed an elitist lifestyle, letting the people suffer? Here I would suggest and hope for, the latter. Whereas the Chinese Communist Party would tend to bring a sentence of life imprisonment with re-education to bring the miscreant back into the fold, it can be assumed that the very existence of Jang Song-thaek was proving a threat so the decision was taken for his elimination. As a humanist myself the Chinese solution – from Mao Tse-tung times – is preferred by me because now there is no way for that errant soul to reconcile and re-integrate into the collective soul of Korea. In South Korea, the new lady president, Park Geun-hye, the first woman to be elected to the post (2013) is a daughter of dictator Park Chung-hee, yet has chosen to open relations with the north, as did the popular Roh Moo-hyun. That president maintained the then existing Sunshine Policy of engagement towards North Korea. Born into a time of political turbulence, her father ruled as an unelected military strongman at the head of the Supreme Council for National Reconstruction until his election and inauguration as the President of the Korean Third Republic in 1963. In 1972, Park declared martial law, suspended the country’s constitution and made himself President for Life while ushering in the Korean Fourth Republic. While former president Park is seen as a dictator in the West and in more popular historical writings, there is more to his life when seen from an Asian point of view. Park Chung-hee was a devout Buddhist and so was-is his daughter. Despite the hostility between the two Koreas, negotiations were conducted between the North and South regarding reunification in the 1970s. On July 4, 1972 both countries released a joint statement specifying that reunification must be achieved internally with no reliance on external forces or outside interference, that the process must be achieved peacefully without the use of military force, and that all parties must promote national unity as a united people over any differences of ideological and political systems. The United States Department of State was not happy with these proposals. Park led the ‘Miracle on the Han River’ project until 1979, a period of rapid economic growth in South Korea. In June 1965 Park signed a treaty normalizing relations with Japan which included payment of reparations and the making of soft-loans from Japan and that led to increased trade and investment between South Korea and Japan. Park is credited with playing a pivotal role in the development of South Korea’s tiger economy by shifting its focus to export-oriented industrialization. Park has been recognized and respected by many Koreans as his country’s most efficient leader who is credited for making South Korea what it is today in economic terms. This writer wants to see daughter Park Geun-hye take up the baton of Roh Moo-hyun whose career took him on a path leading to the overcoming of regionalism in South Korean politics. He came from a student activist past and fought for human rights and achieved a large following among younger Internet users which aided his success in the presidential election (his term – 2003 to 2008). And, the present lady may well want to re-vindicate her family name abroad. 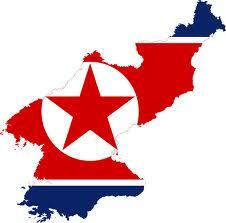 The re-unification of the two Koreas would be a great achievement to that end – in the long term! China has a very important influence on the Koreas, with China’s 5000 years of civilization a continuing role model of cultural unification for people of different ethnicities – so why not of different political persuasions also, both athome and abroad! China can take this opportunity to move on with her unification and cultural expansion based on Asia’s root culture, together with a unified Korea and Japan. Thinking ‘outside the box’ it can be understood that Mao, Ho and Kim all turned ‘revolutionary’ chaos into peace in their homelands by targeting the western (from an Asian perspective) barbarians! Also, he was an “exemplary exponent of the much unnoticed practice in Asian tradition of acting out the deeds in one’s heart, rather than lip-servicing fancy words that are first filtered through the brain”, to quote another of the proponents in the History Without Borders work. However, neither the USA nor China really want Korea united, since a peaceful solution to the Korean problem would mean the end of the usefulness of any USA presence on the Korean Peninsula, hence its influence there. For China, a united Korea will probably be pro-USA at least during the initial phase, and a thorn in her side, so a divided Korea serves China’s interests as well – also in the short term! It is inevitable that a united Korea will gravitate gradually towards its neighbours, China and Russia. There will also be a knock-on effect on Japan, which will want the USA out of the picture. It is this deep sense that is shared by Koreans and by Japanese. Mr Martin sees that the similarities between the Communist period and the Confucian era are more striking than the differences. The West has to take a fresh look at what is happening in Asia, and in China, Korea and Japan. Tony Henderson is a freelance writer working in Hong Kong, since 1980, and previously Japan, for seven years following two years in Mauritius after a year in Libya. Long time participant in the Humanist Movement and spokesman for Universal Humanism in Hong Kong. Also, Pressenza Hong Kong Bureau Chief.